Bioscopewala, an extrapolation of Rabindranath Tagore’s “Kabuliwala”, is all set to release on May 25. The makers have said they decided to release the film in May to pay tributes to the Nobel laureate on his 157th birth anniversary, which falls on May 7. “This film is our humble tribute and respect to the Nobel Prize-winning author. We wanted to commemorate his 157th Birthday by coinciding the release of our film ‘Bioscopewala’, an adaptation of ageless Bengali classic story, ‘Kabuliwala’,” producer Sunil Doshi said in a statement. While the film had been ready for some time now, Doshi said, he waited for a few more months to release the film as a mark of respect to Tagore and “the enormous literature and stories he created”. The film extends the story from where Tagore’s Kabuliwala ends. In this adoption of Kabuliwala, as you can see in the trailer, the protagonist is a “Bioscopewala” who shows films to children in Kolkata on his bioscope. Being with the children, especially young Mini, he is reminded of his daughter who is in Kabul, ravaged by civil war. The film shows the journey of Mini Basu who wants to complete what she thinks is an “incomplete story”. 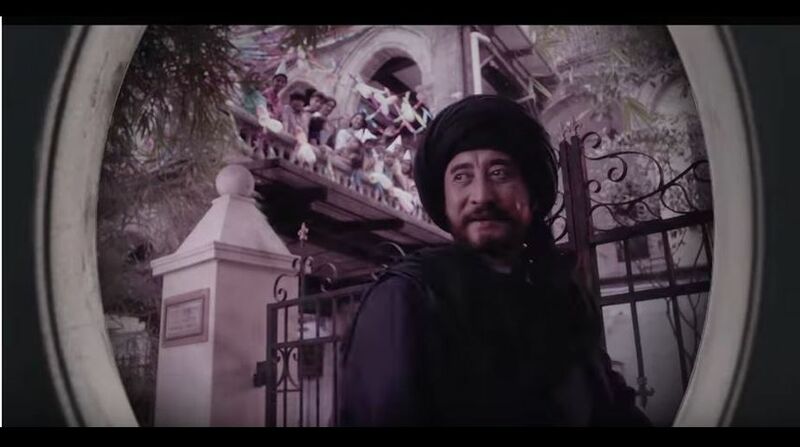 Directed by Deb Medhekar, Bioscopewala stars Danny Denzongpa in the title role, with Geetanjali Thapa, Tisca Chopra and Adil Hussain in supporting cast. The Fox Star Studios film has been made in association with Star India and Handmade Films.